Here is the obituary for our minister of 14 years: ObituaryCEHillman. Our minister at the UU Church of Olinda died peacefully Friday night, August 7, 2015, around midnight in the Beaumont Hospital in Royal Oak, Michigan. 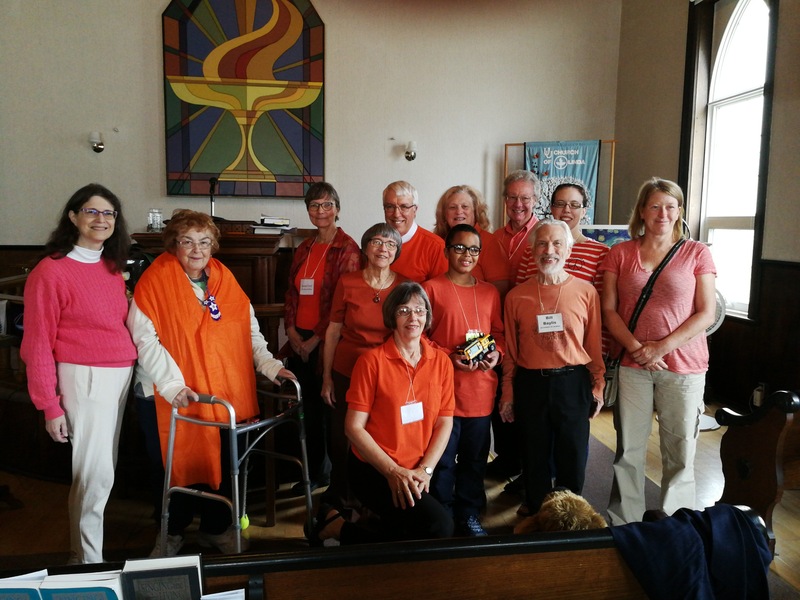 The Sunday service on August 9 at the church, entitled “Celebrating a 14-year Legacy at UU Olinda,” was an informal reflection and celebration of her time as minister at Olinda. A memorial service will be held for Reverend Hillman in Detroit on Saturday, August 22 at 6pm at the Northwest UU church in Southfield, MI. Reverend Krista Taves will officiate. We plan for an additional memorial service to be held in Olinda the coming weeks. Once an obituary is published, we will copy or link to it here. Copy and paste into your browser to view. Congratulations to Christine, husband Arthur, and the wedding pair! !